This October a Dutch angler managed to capture a huge common carp from well know public water Lac du Der-Chantecoq in France. There is little known about the 96lb (44 kg) common carp. 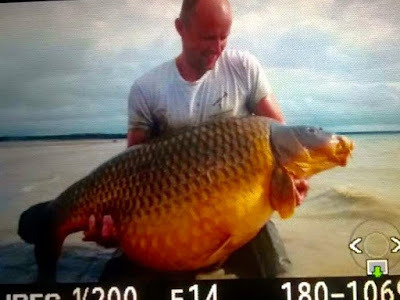 On several Facebook posts anglers are reporting of a record common carp of 44 kg from the huge public water Lac du Der. The only thing known is that a Dutch carp angler landed the 44 kg common carp in October. Earlier we wrote about another common carp of 34,8 kg from Lac du Der, breaking the record in 2011. 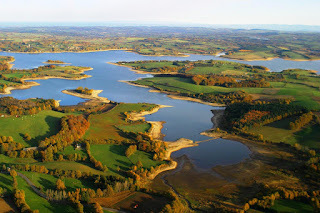 Du Der, Europe's biggest artificial lake, is known especially for it's gigantic common carp. Now the new record is 44 kg. If verified this means it's not only a new record for Lac du Der but also the biggest carp ever captured on a public water. 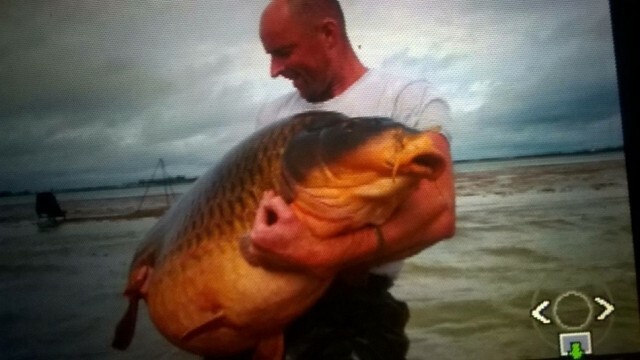 If anyone has more information about the 44 kg specimen and the angler that captured it, please leave a reply in the comments below.